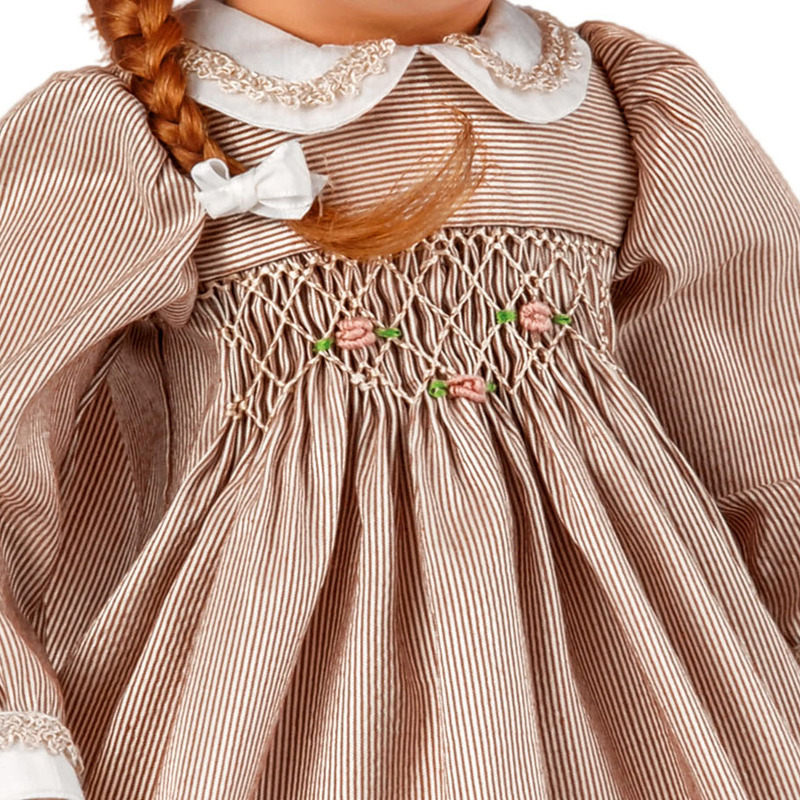 Theresa is a romantic, courageous girl doll wearing a luxurious hand smock top with affectionately hand embroidered little roses. A hand crocheted edging on sleeves and collar complete the dress wonderfully. Under her dress Theresa wears bloomers and white stockings. 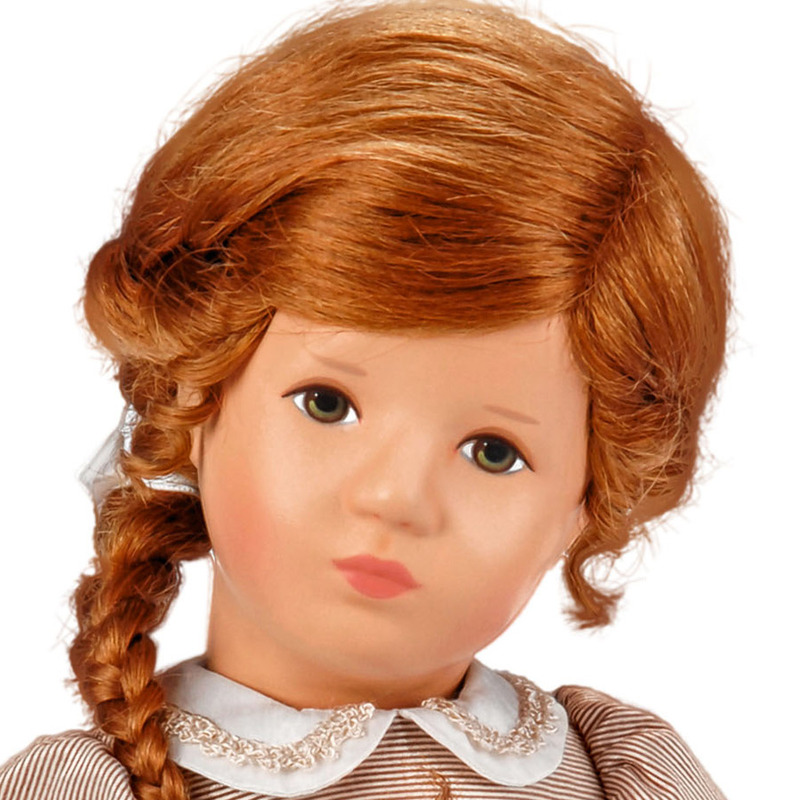 Her red hair is styled into a Viennese wreath and ends up in a braid. 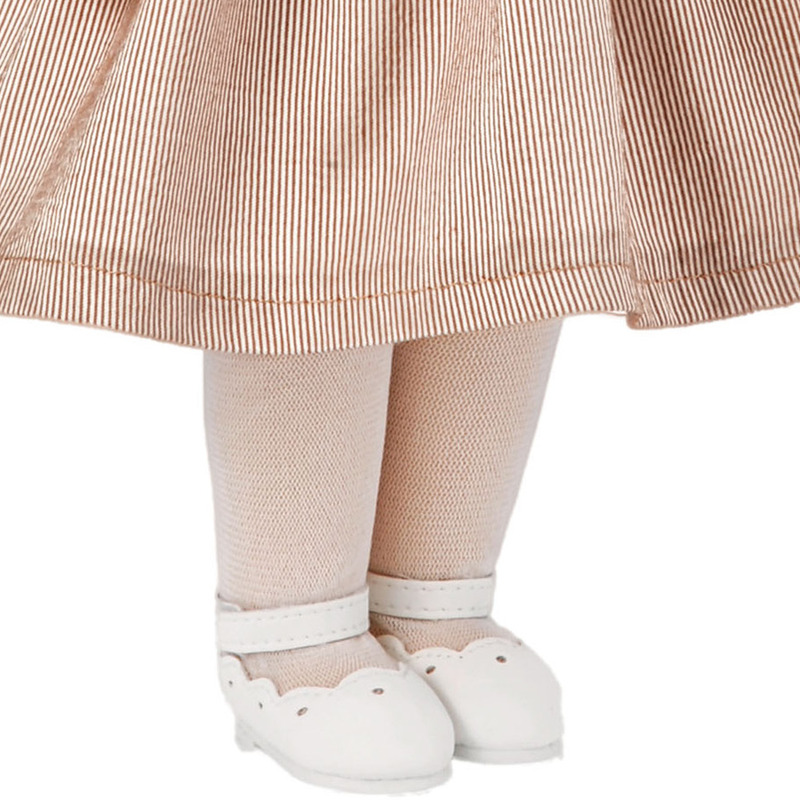 Her white shoes have strap fasteners. 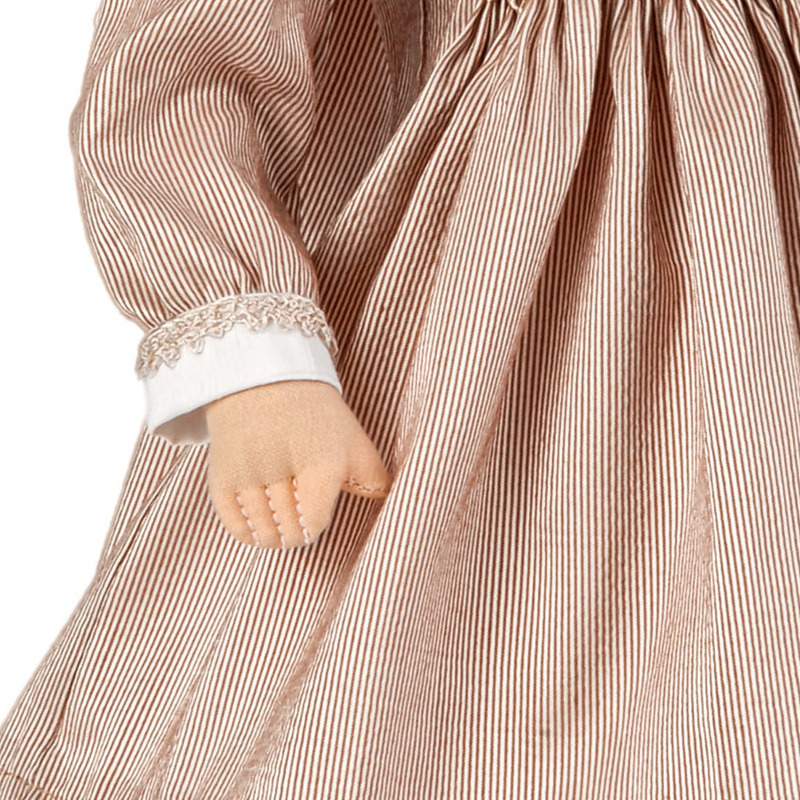 Theresa is stuffed with reindeer hair and has a shaped composite head with hand painted face. 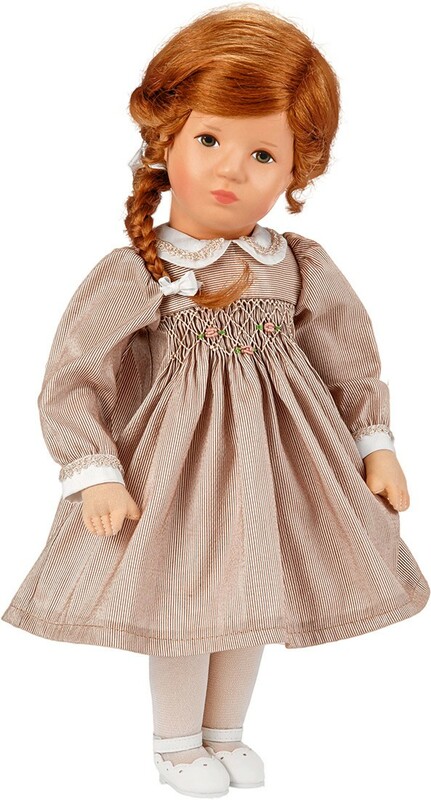 Traditional classic Kaethe Kruse doll design IX (9) for collectors. 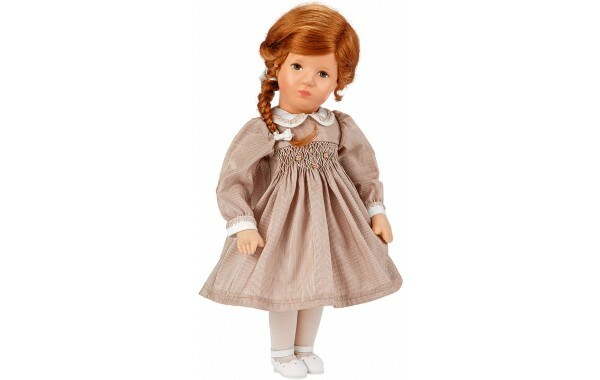 All collectible dolls are special order and must be paid at time of delivery acknowledgement. Delivery times vary from 10 days to 4 weeks as all items are shipped from Germany. You will receive delivery information after your order is placed. All shipments are fully insured. No returns accepted.